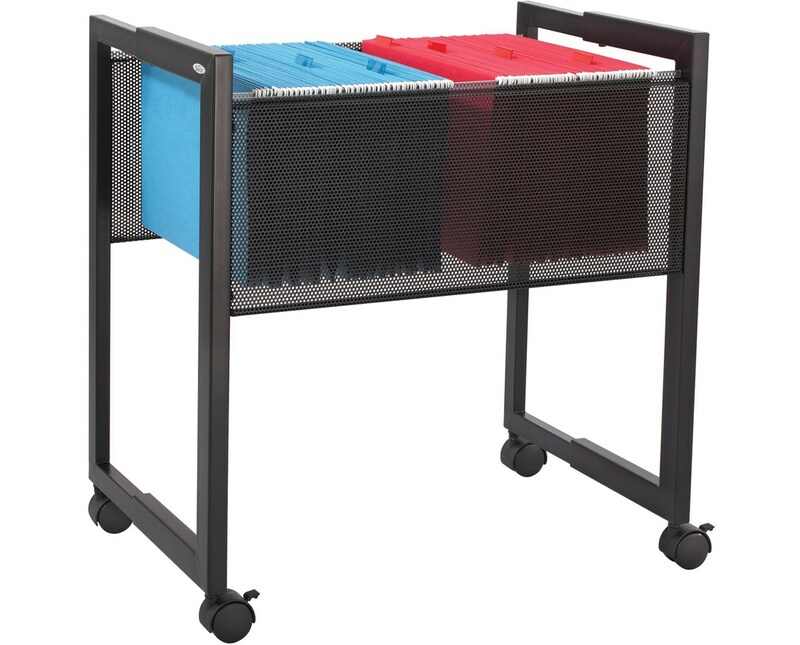 The Safco Steel Adjustable Mobile File is an open top storage unit that makes moving of documents quick and easy. It features a top viewing design and an adjustable frame to accommodate letter or legal-size hanging files. 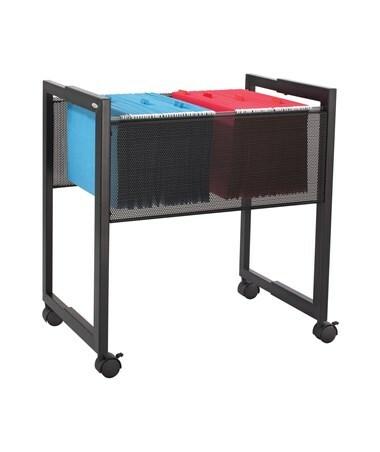 It has a weight capacity of 300 pounds and can hold up to 80 hanging files. The folders are protected by two mesh side panels, while also providing a little visibility of the contents. Four 2.5-inch dual wheel swivel casters make this file mobile and two of these wheels can be locked to keep it stationary. This tub file is made of steel with a powder coat finish and is easy to assemble. It is also GREENGUARD certified which assures that it does not emit harmful chemicals.